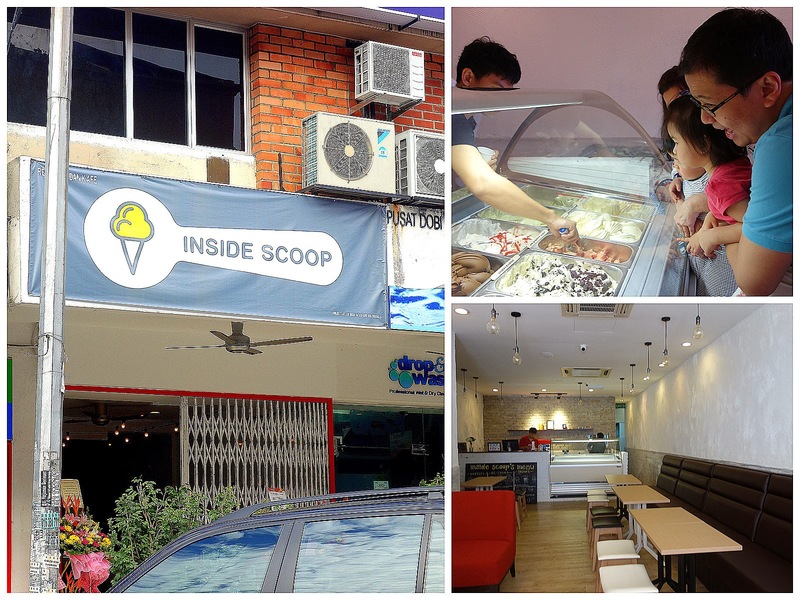 No need for snow: Bangsar is freezing over, suddenly & strategically in time for Christmas, transformed into an ice cream wonderland by the milky magicians of Telawi's new Inside Scoop. 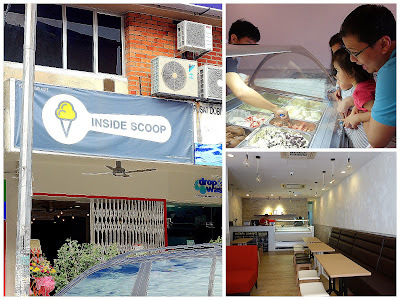 Taking over the venue vacated by Little Wonton (which has moved to Taman Tun Dr Ismail), this ice cream shop is all about the quintessential melt-in-the-mouth delight, perhaps the most universally beloved of any dessert. 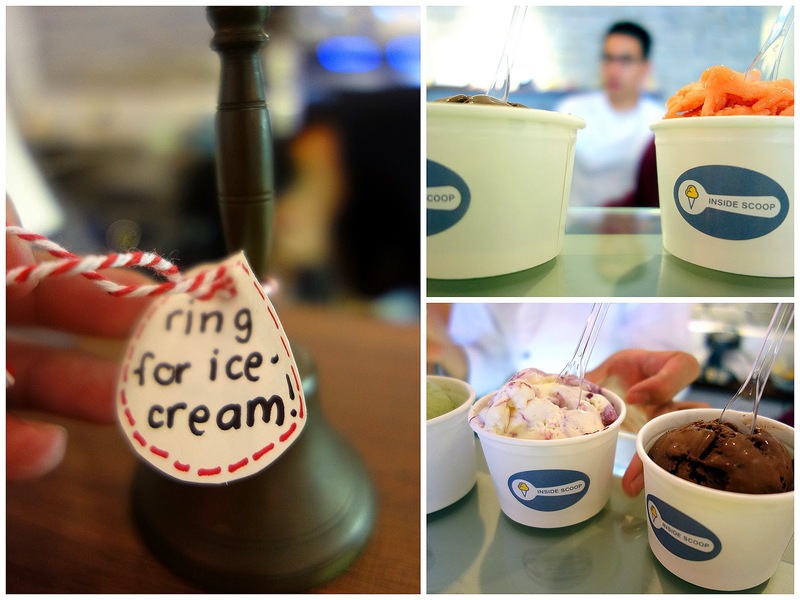 Whether you're seven or 77, ice cream can seem irresistible. At least half-a-dozen people _ Edmund, Shiew Li, Derrick & their friends _ appear to labor behind the counter, a clear indication that Inside Scoop is a team effort. 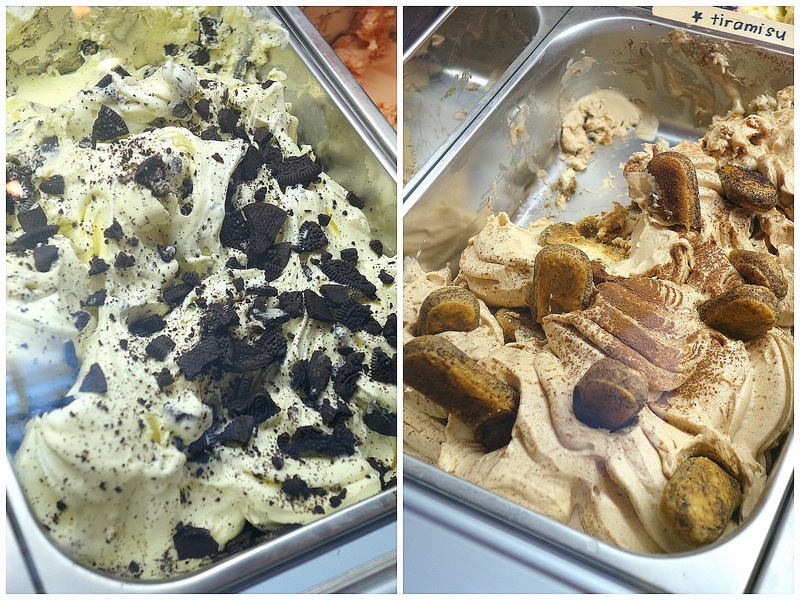 The ice cream is produced fresh on-site, channeling skills from a co-founder's Italian gelato-making training. The current flavors favor the classics & the crowd-pleasing choices: Vanilla bean to hazelnut, tiramisu to cookies-&-cream, Valrhona chocolate to pistachio, blueberry cheesecake to durian, pink grapefruit sorbet to strawberry yogurt. The results straddle the line somewhere between ice cream & gelato, leaning closer to the latter. Inside Scoop scores strongly for both texture & taste, beautifully lush in smoothness, pleasurably concentrated in purity of flavor. 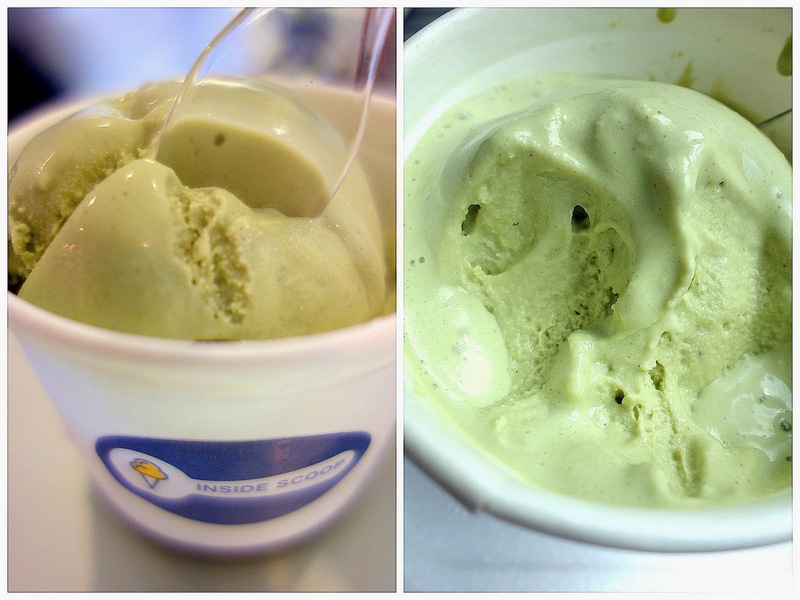 Edmund's fave: Pistachio, a true treat that distills the deep, distinct essence of this culinary nut. Durian flavor, cursed/blessed with a pungently telltale stench; this might be the one ice cream that KL's hotels should consider outlawing. 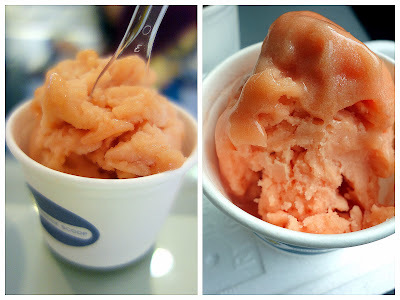 Pink grapefruit sorbet, also an acquired taste. 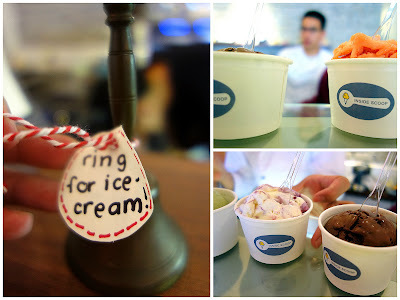 Waffles with ice cream are available here too; each generous scoop of ice cream costs RM7.80, two's RM12.80 & three's RM17.50 (with a surcharge of RM1.50 per scoop for premium flavors like Valrhona choc). 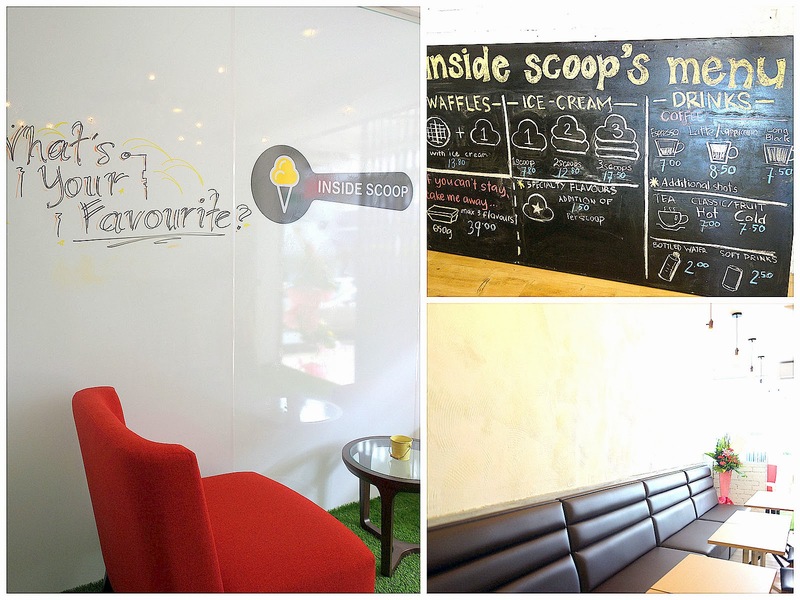 All in all, Bangsar's hottest attraction might soon also be its coolest, harboring a potential for greater risk-taking & experimentation in the months ahead. Give Inside Scoop space to evolve; as those of us who enjoyed Cielo Dolci on its opening day would remember, even Cielo wasn't armed with a nasi lemak flavor in the beginning. 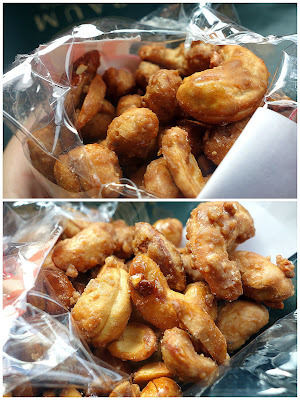 Bonus Bangsar treat: Cross the road from Inside Scoop to pop-up caffeine bar Nowhereman Coffee, which started selling glazed nuts by local entrepreneurs Nutty Nuts this past weekend. A fun snack, but maybe not ideal for those of us who prefer nuts to be completely savory instead of nearly candy-sweet. 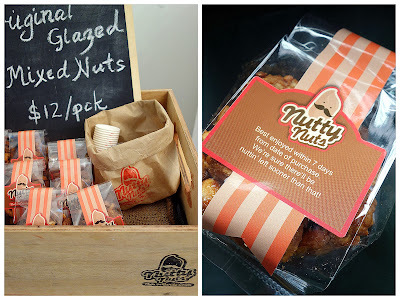 Still, to steal one of Nutty Nuts' catchphrases, this would work for patrons who'd rather be nutty than nice this Christmas. 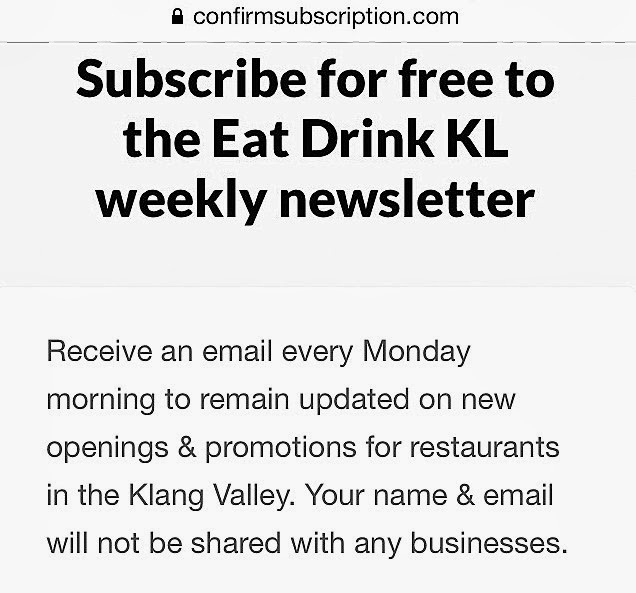 9, Jalan Telawi 3, Bangsar Baru, Kuala Lumpur. Near Nosh. Any idea if they have salted caramel flavour here? I am sucker for that! Oh the baby in the 2nd pic is sooooo cute! Your kid? 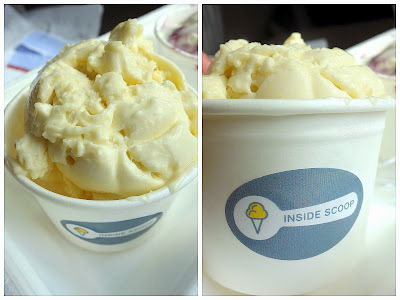 Isn't there an ice cream place named Scoop? Selections all look really good! Oh telawi 3 is certainly happening! Beato is on the same street too! Cool! I like the name too - nice wordplay! I was trying to get to a restaurant yesterday from reading your blog - it's the best resource, good work mate! A very nice reference, do keep it up! Thanks for your hard work! 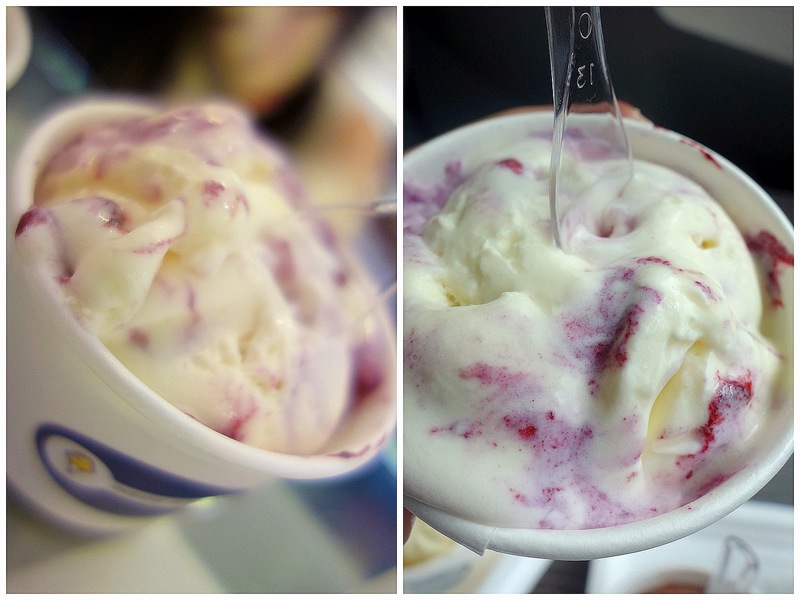 Ice cream...I need some as soon as I rid myself of the long winded fire engine cough. 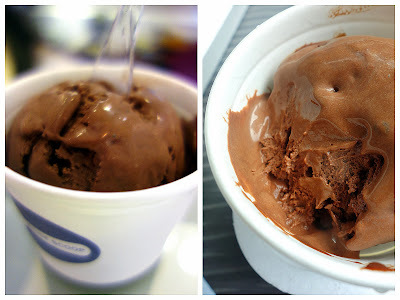 The above ice cream you had in cup is 1 or 2 scoops?